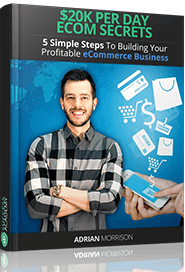 HomeeCommerceHow To Become an Amazon Seller? How To Become an Amazon Seller? 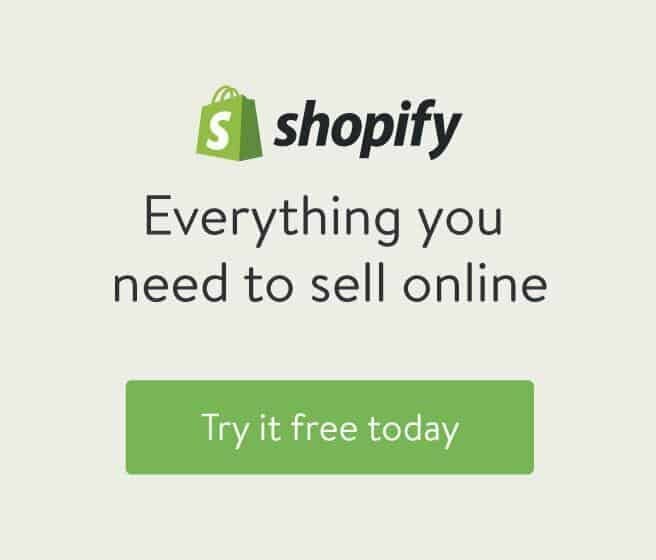 If you ever thought about drop shipping without having to store or even sell your own inventory, then fulfillment by Amazon could be the perfect solution for you. If you ask yourself now about how to become an Amazon seller than we have the answer for you in the article below.. The FBA program is similar to eBay, the main difference being, you can ship your products to Amazon’s distribution center and have it stored, sold and shipped. On top of that, the company’s customer service deals with many issues like refunds or product exchanges in your name. The whole concept makes life a lot easier and gives you time to focus on only one thing: finding inventory. How To Sell Stuff on Amazon? To start, you have to set up an Amazon seller central account. In the beginning, you can select the option to » Sell as an Individual« avoiding the monthly subscription charge. After that, add FBA to your seller’s account. Collect your inventory and pack it into separate boxes, so you are prepared for your next step, which is organizing where your shipped stuff is stored on Amazon. Sign into Amazon Seller Central and find the Inventory menu. Find the ‘Add a listing’ to add your first product. You have to create a new box for each type of your product as Amazon manages the inventory through marked boxes. After you added some product descriptions, make sure to mark that the item is going to be managed through FBA. Furthermore, it is advisable to switch from Individual to Case-Packed Items mode. This means that you enabled the Amazons’ function to track multiple items separately. The program does this by assigning cases. As an example, if you have one CD to send, you will mark it as 1 unit per case and 1 number per case. However, if you are sending 5 CD’s of the same kind, you mark them as 1 unit per case and 5 number per case. Keep pressing ‘Add a Listing’ up till all of your boxed items are categorized. Then, hit ‘Work on Shipment.’ That will enable you to make and print shipping labels for your inventory. Make SPD (small parcel delivery) your primary shipping mode as long as your items don’t weigh over 150 lbs. Other options for larger quantities of products unclue LTL (Less-Than_Truckload) and FTL (Full Truckload). You probably don’t need to worry about those, at least at the beginning of your journey. If you are shipping from the states, then it is a good idea to choose UPS as your carrier as it partners with Amazon, making the shipping cheaper. After you have done all of that, you can start printing the shipping labels. At this point, it is good to have a scale to weigh up your boxes if not, you just mark them and weigh them at your local postal office. Be sure to print out your labels through the FBA and not your local postal office. Doing so makes the shipping rates much lower. Once you have shipped your boxes, you can track them through Amazon, including your unpacked inventory. If you have a smartphone you can scan your products and find out its market value. To do that you need an Amazon price checker app, available on iOS or Android. It is extremely useful for dealing with a large amount of inventory. You can also check the store clearance sales for additional products. One of the more popular iPhone Amazon apps is the Amazon Seller. 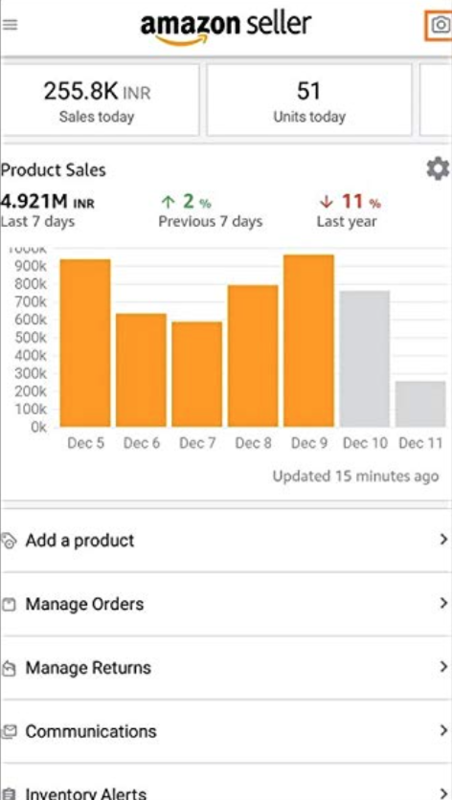 The FBAScan app is available for Android as well as iOS, however, it requires an Amazon Pro Seller accounts for you to use it. Shipping is your expense. As mentioned above, you are accountable for your shipping charges when shipping to Amazon. This is something to be aware of when you are making your business plan. Seller fees. 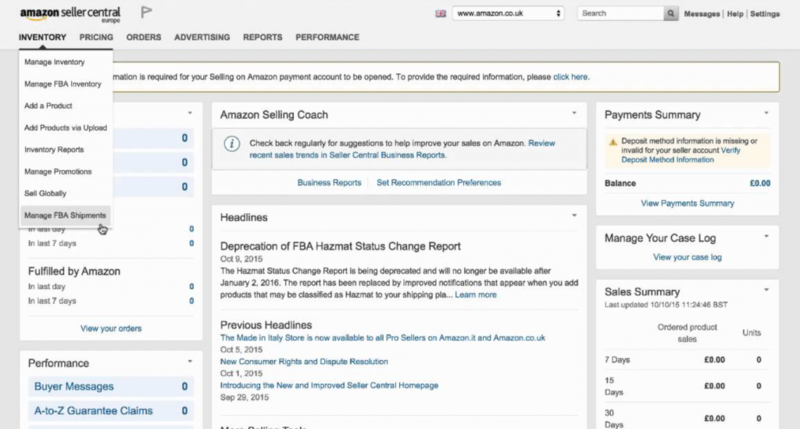 Amazon takes around 15% cut on your sales with FBA. You should calculate if there are better alternatives to your business model, such as garage sales or eBay. Additional fees. There is a fee schedule in place for item pickup (charged when Amazon employee handles your product on your behalf) and storage. The weight-based fees are also applicable when sending items. Amazon also introduced the Long Term Storage fees for items, stored for longer than a year. Logistic (co-mingling) issues. As Amazon has a large number of distribution centers, they usually use the center located closest to the customer they are shipping your product to. This means that you have an option of selling the product that is not really your own if you opt for co-mingling of your merchandise. This can be easier done for some products and impossible for others. The main perk of using the co-mingling is the fact that you can send more stuff at a faster rate. However, you can have problems if there are issues with another seller’s products. It can also lead to Amazon account closure in case of pirated merchandise. Sales tax. If could have issues with a state that obliges you to report your sales tax. The thing is, your items could be stored or shipped to a state that charges sales tax. When you are working through FBA you have no real control over which warehouse is storing your goods, meaning the merch can reside in any of the states. Currently, most of the states are not enforce the e-commerce sales tax in a forceful manner, but that could change in the future. Competition. When using FBA you are not only competing with other sellers, you are also going up against Amazon itself. This is probably the main disadvantage of the FBA compared to other selling services like eBay or Etsy. You should definitely check the Amazon’s prices of similar merchandise before shipping your own to FBA. Out of all the available training regimes, the Proven Amazon Course is one that stands out. If you want to use the Amazon’s reach and don’t want to deal with inventory then the Amazin Selling Machine training course is the best choice for you. The course includes an online community, strategy guides, and online tools, among other things. PAC could help you to grow your business and even get you to a six-figure revenue. Is it worth selling through FBA? When considering all the charges and other issues, you could be wondering if it makes sense to use the FBA. To help you out, Amazon offers an FBA Revenue calculator with which you can figure out if FBA is the right option for you. If not, you can always look into other similar services like garage sales, eBay or Etsy. However, if you are having a lot of light merchandise you are looking to sell cheaply and quickly, then FBA could be the right choice for you. All in all, there is only one program, that I would recommend. It helped many people to turn their hobby into a 5 figure monthly profit. If you are interested in it, you can check it out here. 1 How To Sell Stuff on Amazon? Product Launch Formula Review is ON – Registrations are Closing in 24h!